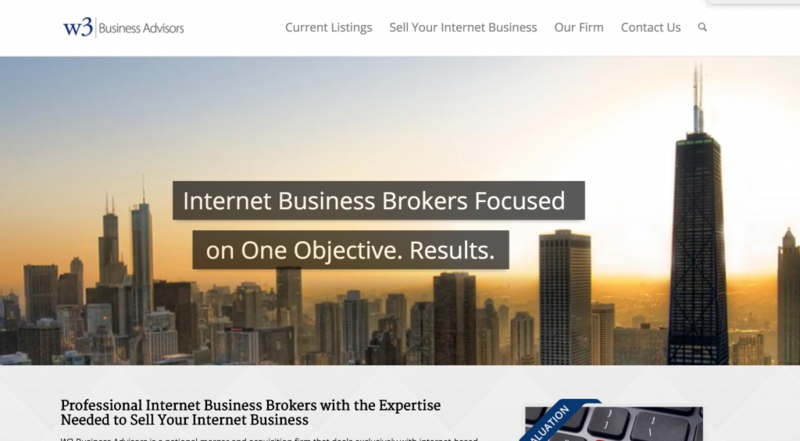 W3 Business Advisors was first established in 2009 and has since been operating in the online business brokerage industry, mostly focusing mid-value ($250k – $1M) listings, predominantly in the ecommerce sector. W3’s listing volume isn’t high, but appears to be relatively consistent. Majority of valuations appear to be at the higher end of the spectrum, however this is expected as W3 seems to transact almost exclusively with well established ecommerce businesses – a category that always tends to attract higher valuations/prices. Based on the reviewer’s (limited) experience, W3 appears to perform solid due diligence and low-quality listings aren’t common. W3’s marketing materials are sufficiently thorough and well-prepared, but don’t contain some elements that have become a standard within the industry, such as a comprehensive seller interview or financial analysis. Having operated for 6 years and showing a constant flow of listings, there’s no reason to doubt W3’s longevity. Listing numbers are generally very low (between 1-4 active listings at any given time), but turnaround appears to be sufficient and deal flow consistent, considering the average listing value and category.